Now is the time for you to suspend your disbelief – to believe that anything is possible in your life – and to embrace change. Be brave and take the leap – what comes next will amaze you! Each new year brings opportunities and challenges that have never been here before. 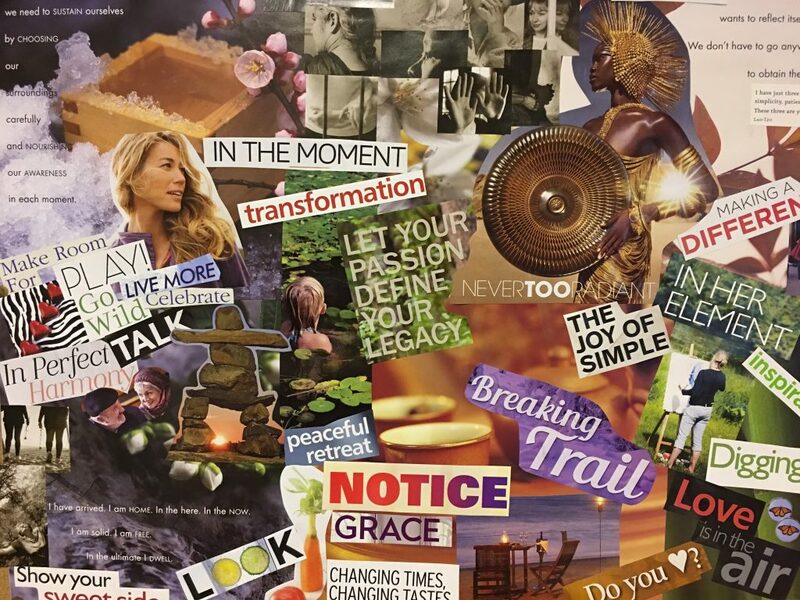 To dream BIG and to deal with life’s obstacles, I create a Vision Board. Having mine in front of me while I sit at my desk helps bring positive change to my life. The colourful images and inspiring words help me stay connected with my chosen spiritual path, provide a focus for my deepest inner desires, and nudge me toward my very best self. You might be asking… why do I need a vision for my life? Why does anyone need a vision or a defined purpose? My sense is that people who have no vision sleepwalk through their lives without a hint as to why they are here or what their purpose is. They drift along on the currents of our culture’s conditioned collective beliefs without discerning for themselves whether these beliefs are beneficial or harmful, progressive or regressive.